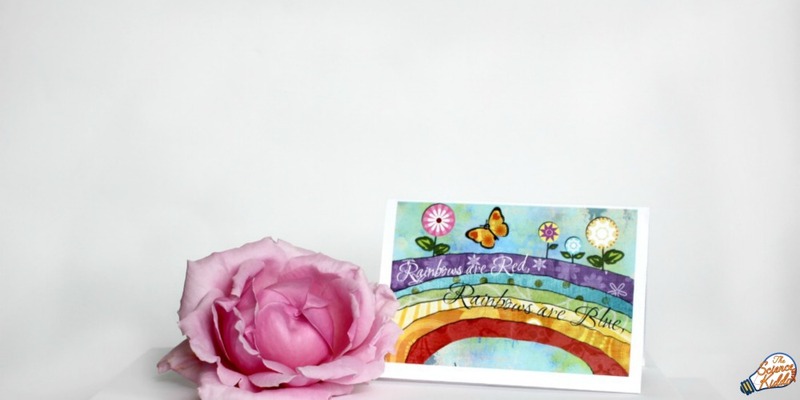 This Mother’s Day surprise your mom with this free rainbow paper heart card! 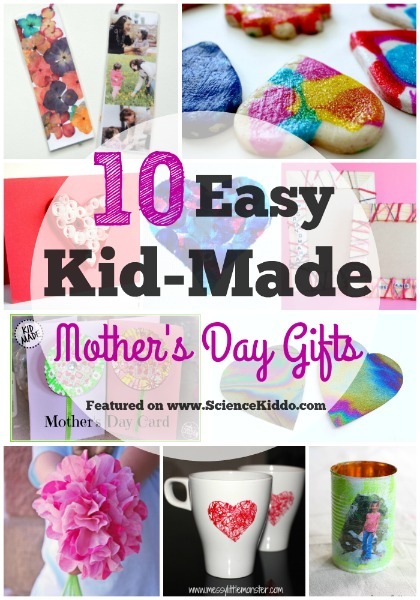 Perfect for a Mother’s Day activity in the classroom or at home. 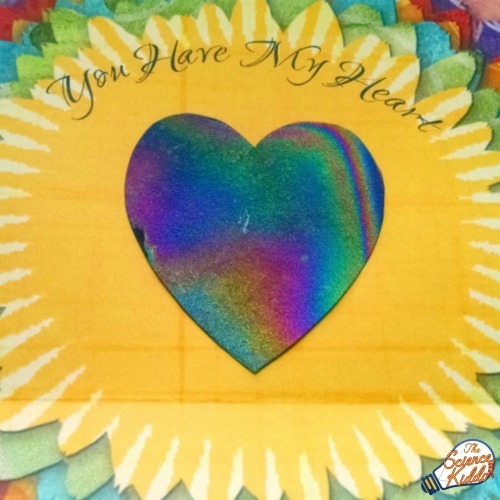 This Mother’s Day surprise the special women in your life with this free rainbow paper heart card! Children can easily make their own one-of-a-kind rainbow paper hearts and attach them to their cards in a matter of minutes. It is perfect for a Mother’s Day activity in the classroom or at home. From the moment it was published, rainbow paper became one of our most popular activities. Today we get to turn this science activity into a uniquely colorful and meaningful Mother’s Day surprise. 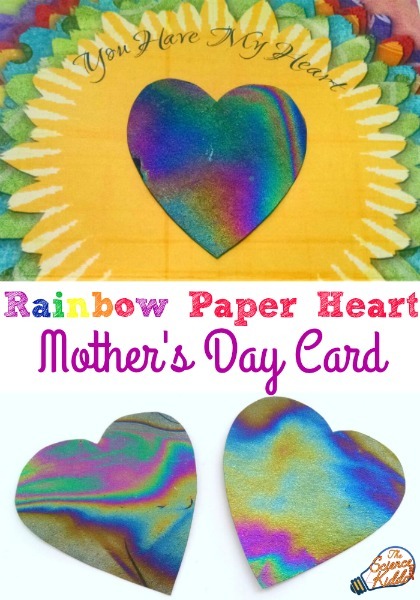 Making a rainbow paper heart Mother’s Day gift is easy to do. First, download and print the free colorful card. (Download button found below.) Fold and cut along the indicated lines to make a perfect 3 x 5 card. Next, gather clear nail polish and black paper to make rainbow paper. Cut your black paper into a square that measures about 2 inches on each side. 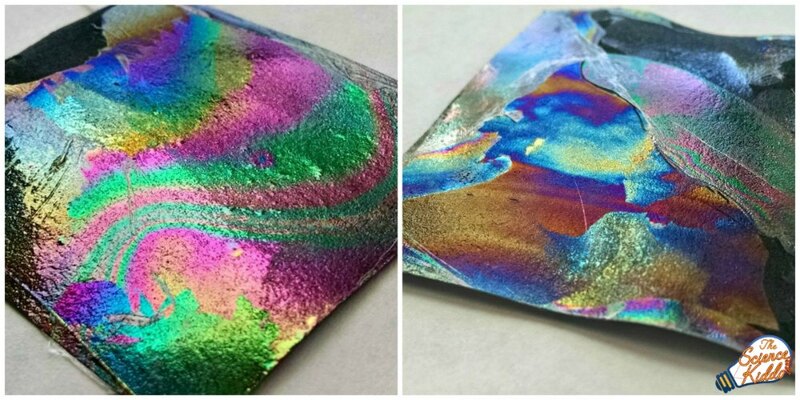 Follow the easy instructions here to transform it into gorgeous rainbow paper. 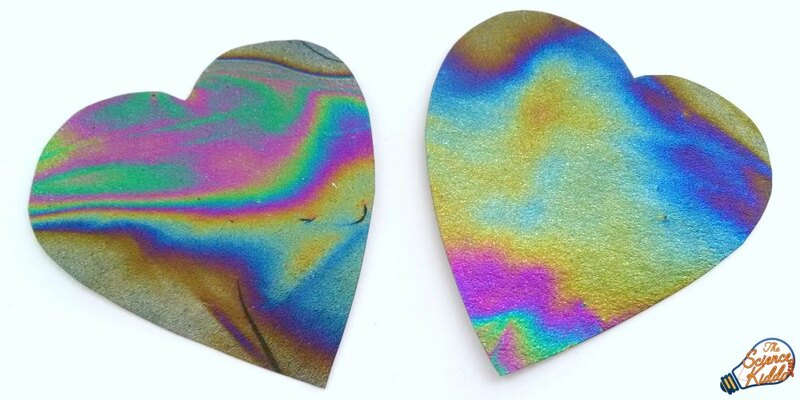 Once your rainbow paper is dry simply cut it out in the shape of a heart. I like to use a heart-shaped cookie cutter as a template. I trace around the cookie cutter with a pencil and then cut along the lines, but you can do it free-hand if you like! Glue the rainbow paper heart to the card and you are done! Moms and grandmas everywhere will be so impressed with the bright and shiny rainbow colors and will be touched by the sweet rainbow poem. Download Your Free Mother’s Day Card HERE! My daughter is so into rainbows she would love this! Thanks for sharing at #everythingkids this week!